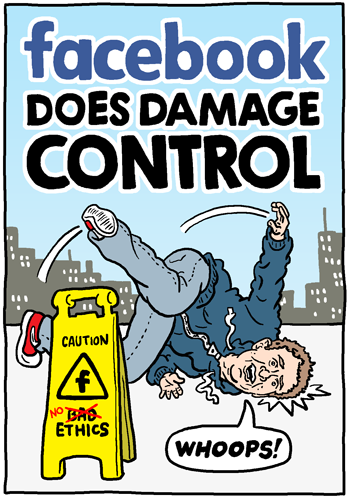 Facebook had another bad week. Every week is terrible on that godforsaken MySpace-that-won’t-die, but I mean from a PR standpoint. They are a bad company and I wish people would go back to using Evite to plan events. Or mail invitations. Stamps are cheap, people!